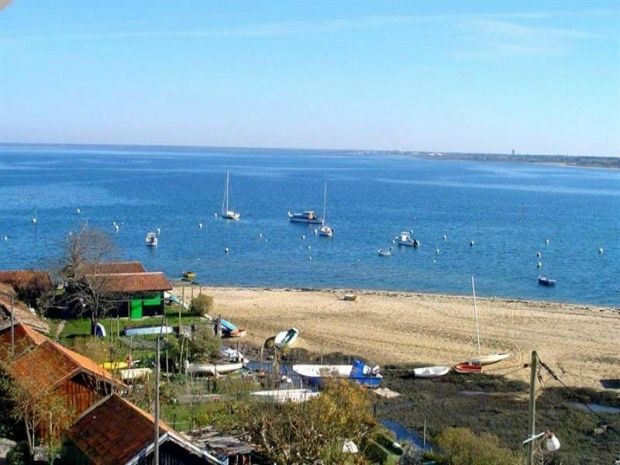 Pleasant T2 apartment of 45 sqm in a residence (lift and intercom) opposite the beach of l'Aiguillon with direct access to the beach. 3rd floor with a view of the pool, terrace. Car park. Entrance. Living room with 2 sofa beds style "Moroccan" in 80, TV and dining area. separate equipped kitchen with 2 ceramic hobs, microwave, fridge freezer, dishwasher, access to the terrace. A room with 1 bed 160 with cupboard. Bathroom. Separate WC with washbasin. A 2 km from the center of Arcachon, but many shops 400m.